With a mind-boggling app idea, most mobile app organizations are keen to share the same with the world. The burgeoning smartphone usage has got a plethora of developers to develop apps for the mobile world. Being successful with app development in terms of revenue is the key here and not the development process itself. If the trends are not valued, one is surely risking time, effort and money on something that would not boast of great download rates and revenues. Having a mobile app has become very important for many businesses and also become a huge marketing tool. Traffic is what is the biggest goal of every marketer to reap sales. Any tool that pulls traffic to sites is what is known as the golden egg today. All reliable app developers usually keep their clients in a loop about the process and functionalities of a mobile app. There are some features though that will make it effective. Any app user needs to be able to order any product and service so that you can begin order processing quickly. Some apps force first-time customers to complete full registration, which should never be a priority. Your app should allow all sorts of customers, even guest users. Mailers can be designed for sending reminders to unregistered customers later on. Do not discourage new users by pushing them for full registration. For better profiling measures, motivate them to register by offering discounts on deals that they are looking for. Let the app have push buttons for sending a message to customers. Send messages to 5,000 people and more, advertising new promos or for getting answers to important surveys. Integrate the app with social media channels like Facebook, Twitter, Instagram and WhatsApp, making it easy for customers to share posts and boost your popularity. Let there be an explainer video for the products, laced with humor for better responses. Apps need to be very simple to use and navigate. They should be devoid of useless features and less buttons. For example, a chatting platform for a product should allow chats between customers and a service agent and not amongst customers. Once you have finalized your app idea, look for similar apps in the app store. Mobile app development companies need to analyze similar apps and then assess the market scenario along with competition. List down unique features of different apps and add them to your app to make it better. In this way, you can refine your app idea with extended features and USPs. Before making the app, outline the business outcomes and the ROI that you expect from the app. Define clear business goals to understand, set and track definite goals to achieve consistent success. Assess the type of audience that your app would be targeting and the outreach that you would need to make app connect to the user base. 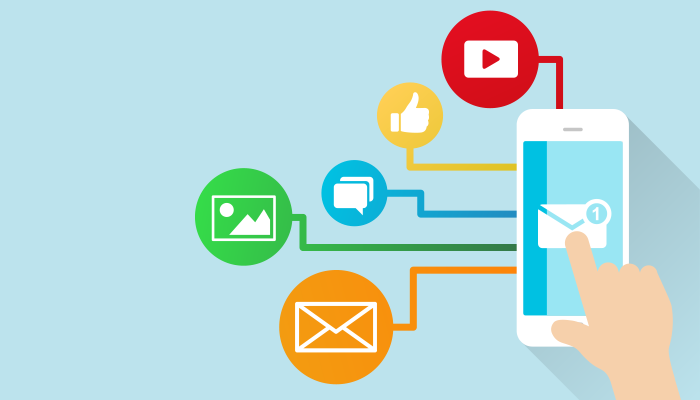 Knowing the prospective audience and the problems that your app will address is the biggest pitch for mobile app development and the existence of the app. There are many mobile app development companies who cannot spend money on every must-have feature for apps. Hence it is important that the app is approved by the app store with the most important features. The requirements need to be conveyed transparently in this regard. Which is the best mobile app development platform – Android, iOS or Windows? Select the best platform in early development stages of the app. Keep the budget in mind along with the number of users, and effective monetization strategy of the app when making the choice. A simple app can set you back by $10K while complex apps are costly at $100K. Some companies can spend millions of dollars to develop a profitable app. As a mobile app development company, it is important to limit and prioritize feature lists and investment for the outcome. The app design is crucial to the success of the app. Hence one needs to plan the design well in advance and keep it interactive to engage the intended audience. Smooth user experience and seamless navigation is a must for better response. If you want your app to be searched and downloaded, make sure that the app is searchable in the app store. Finalize the keywords relevant to your app and optimize them for attracting downloads and even user retention. The above checkpoints will back up your app development process and help you achieve success with your apps.